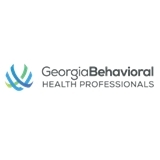 Georgia Behavioral Health Professionals (Stockbridge) - Book Appointment Online! She is awesome. My son and I felt very comfortable with her and I think when they have their one on one he will open up even more. She took her time and was very thorough. Great bedside manners. Really listened and explained medication. This practice sees patients at 17 locations.